Thanks to Stephen Winick of The American Folklife Center for this great history of “Rock Island Line,” and more background on the influence of traditional southern music on the British Invasion. See earlier post here. Donegan’s “Rock Island Line” begins with a monologue about a train engineer and a depot toll collector, then speeds up into an up-tempo, infectious ditty, which proved extremely popular. The single went to number eight on the U.K. pop charts, but was as influential as most number- one hits. In an era when pop music was highly arranged and complex, the do-it-yourself skiffle sound was inspirational to thousands of young people who wanted to make their own music. A skiffle craze began, which included such groups as The Quarrymen (which became The Beatles) and The Detours (which became The Who). Other notable skiffle musicians included Jimmy Page (later of Led Zeppelin), Martin Carthy (later of Steeleye Span), Dave Gilmour (later of Pink Floyd), Mark Knopfler (later of Dire Straits), and many others. Indeed, the skiffle movement, which started with “Rock Island Line,” prefigured both the British rock-and-roll scene and the English folk scene, putting guitars in the hands of numerous players and teaching them to love American blues music. Lonnie Donegan’s rendition of “Rock Island Line” is clearly derived from Lead Belly’s. In fact, the monologue with which Donegan begins the song seems to have been written by Lead Belly for his own version. The AFC Archive does include a recording of Lead Belly performing “Rock Island Line,” but this is probably not the one Donegan heard; Lead Belly made commercial recordings of the song in the 1940s, which were widely available. Still, the AFC Archive is the ultimate source of Donegan’s version, because it was the source Lead Belly himself used. Lead Belly was traveling with John Lomax in September and October 1934, and was present when Lomax recorded “Rock Island Line” from two different groups of convicts. These are the first known recordings of the song, and it was from these recordings that Lead Belly himself learned it. 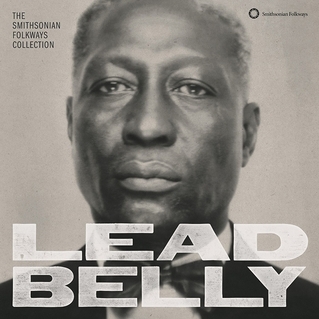 These field recordings are a cappella harmony renditions, and Lead Belly added both the monologue and the guitar accompaniment, both of which clearly influenced Donegan. traditional words and melody, however, are owed to the Arkansas convicts of 1934, led by a convicted burglar named Kelly Pace, and to the recordings preserved by the AFC Archive.